Radiant, smooth skin is the perfect way to prep for a makeup application, or to head out the door au naturale. And since a flawless, glowing face is always a good thing, it’s totally fine if you have to “fake” it. Whether you were born with great genes and a gorgeous complexion that only needs minor intervention, or you’re in need of a makeup recommendation to get you there, this post has you covered. Yes, ladies, this is important. It takes time to put it on, so understandably it should take time to remove. This should definitely be a routine event every night before bed. Be sure to use a makeup remover, like a natural oil, and follow up with a gentle cleanser. If you want to get really creative with your removal aids, then check out some of Bustle’s suggestions. I’m really liking their milk and almond oil tip! Dull skin has a way of sneaking up on the best of us, especially in the winter. Exfoliating takes care of that dead, lifeless top layer, sloughs it off, and reveals a brighter complexion. There are several ways to accomplish this, and they don’t have to involve microbeads. In fact, Allure has several tips, including exfoliation gloves, dry brushing, exfoliating lotions, and more that will have your face fresh and smooth in no time. Although there are many skeptics who don’t believe skin health is related to nutrient intake, I still think it’s a great idea to be mindful of what you eat. Fruits and vegetables, juicing, and lots and lots of water will help keep your skin looking plump and fresh. Avoiding too much caffeine, salt, and refined sugar can make all the difference. Utilizing soothing, natural serums and tinctures, like rosewater, will help nourish your skin from the outside. Argan oil is great for anti-aging, coconut oil is good for sensitive skin, and lavender oil works best for irritated skin. Make sure the full strength versions of some of these (like lavender) are mixed with carrier oils. Use them sparingly, but daily, for best results. 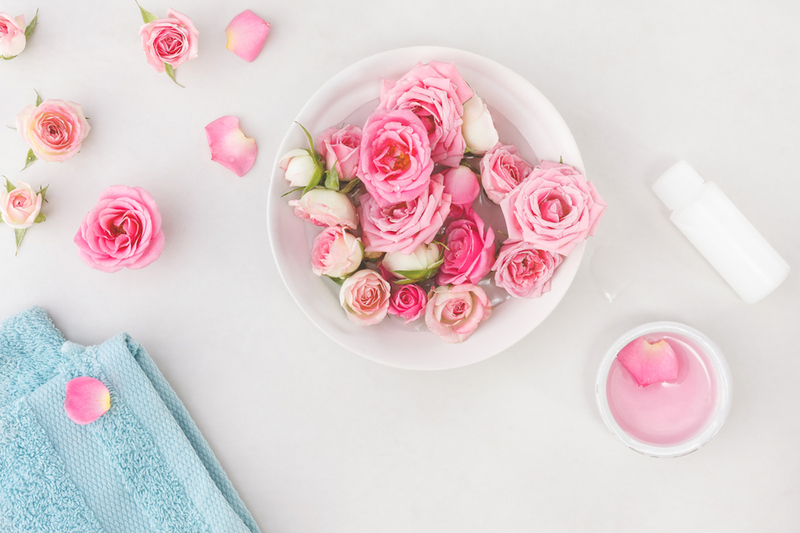 Maybe you’ve tried all of these things and still find yourself battling acne, hyper-pigmentation, or other afflictions that make you less confident in your complexion. That’s when I say don’t worry about achieving perfection, and use makeup when you feel it’s necessary. The Scene has a video full of advice from Rihanna’s makeup artist on how she achieves her incredible skin and they can’t get enough of different MAC products. Try following some of her tips and while you might not be a pop star anytime soon, you could be on your way. What other tips do you have for achieving glowing skin? Kate Gibson is a New York City based marketing assistant who loves everything fashion and beauty. When she’s not putting in long hours at work or writing about the latest trends, she’s scouring boutiques for unique pieces to keep her wardrobe fresh and trying the latest makeup tutorials.